Welcome to the website of the HMS Dunedin Society. 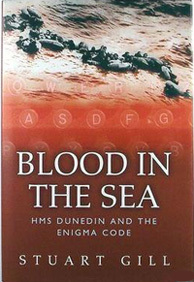 The Dunedin Society is our collective organisation designed to keep alive the memories of HMS Dunedin and her men. It is entirely voluntary and free to join and its membership is worldwide. 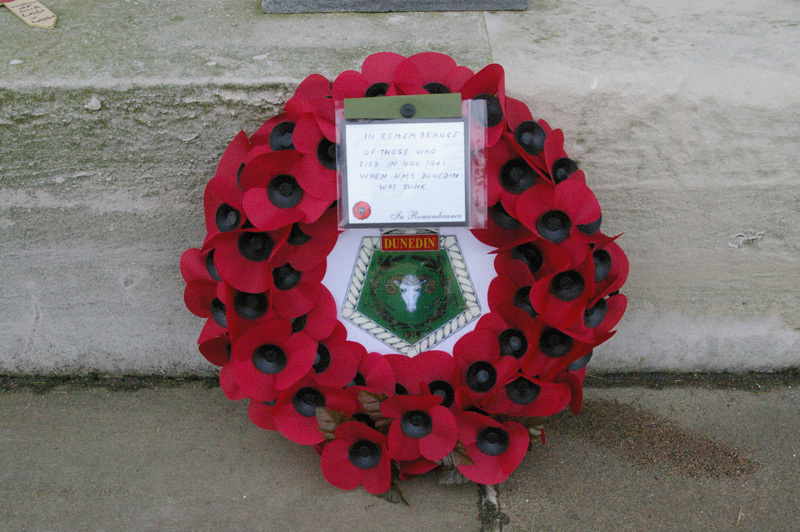 The society organises commemorative events, including the annual 24th November ceremonies. If you wish to find out more or have any information about HMS Dunedin that we could publicise on our website please Contact Us. With huge thanks to Anne Randall for organising this year’s reunion, around thirty members of the Dunedin Society gathered at the Royal Naval Memorial, Southsea, on 24th November for the last fully organised memorial service. On a cold and damp November day, we once more remembered the men of HMS Dunedin, seventy seven years after the fateful events of 24th November 1941. 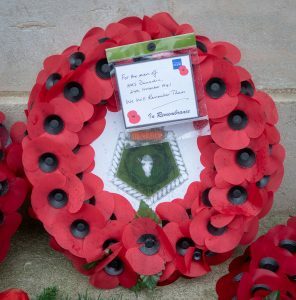 Click here for Stuart Gill’s reflections on our remembrance, as he expressed them at the service and some photos. 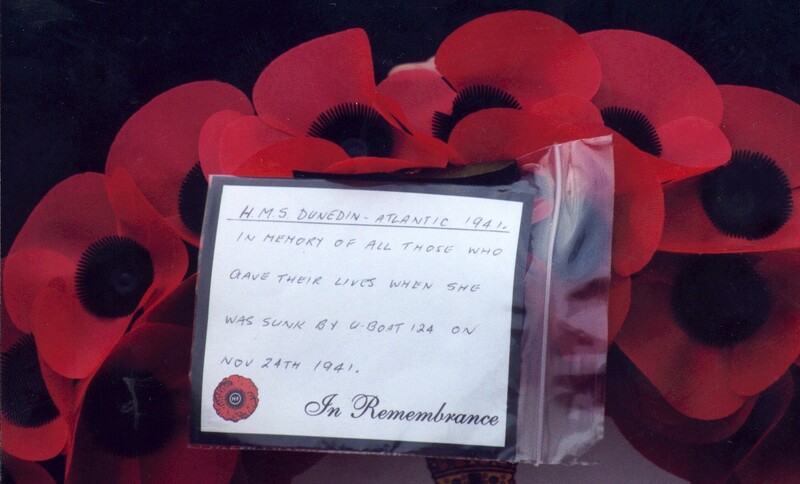 The memory of the men of HMS Dunedin lives on. NEW: Updated article on the new information on the rescue. New documents. April 9, 2016 - Dunedin News, History, Uncategorized - Comments Off on NEW: Updated article on the new information on the rescue. New documents. Click the link above or here for an updated article on the sinking and the rescue, including a second report written by Lt-Commander Watson, not previously published on this website. The Dunedin Society met for the annual reunion and remembrance service. Click here for a first report. In this section of our website we will be posting details of recent updates that we make to the website eg new information about a member of crew. The Dunedin Society is run by a small group of volunteers who need your support to keep it going. If you would like to make a financial donation, please click on the 'Donate' button below. You can choose to pay via paypal or debit/credit card. Thank you!